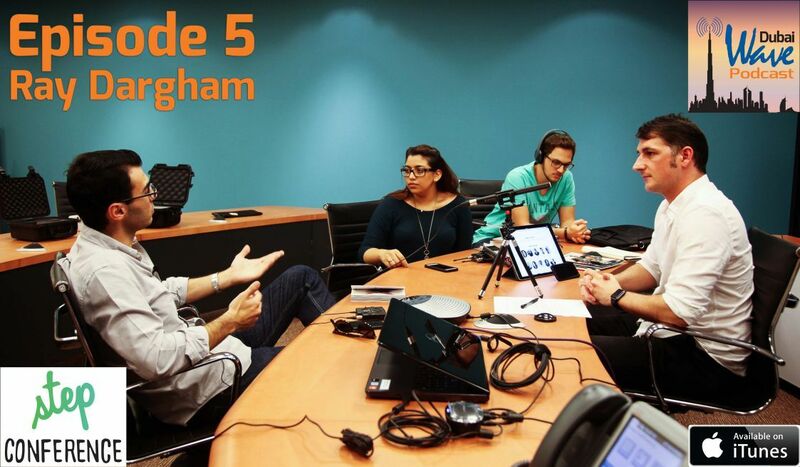 For episode 5 of the Dubai Wave Podcast, we are thrilled to present Dubai's ultimate tech insider, Ray Dargham, founder of the region's top tech conference, the Step Conference, taking place April 5-7 at the Dubai International Marine Club. A man of great energy and many talents, Ray is the Co-Founder and CEO of the STEP Group, a new media & technology company whose products include news and digital content platforms (stepfeed.com and yallafeed.com) as well as the Step Conference - the largest technology and startup conference in the MENA region. In our thoughtful discussion, Ray provides the lay of the land of the Dubai tech scene, and tells the story of how he created the Step Conference to become the SXSW of the Middle East, and how he has scaled it up, year after year, forming a nexus for the Dubai tech industry. He also provides insight into his growth strategies around his popular, innovative content platform, stepfeed.com, which promises a whole new way of publishing and sharing news in the Middle East. For anyone interested in understanding the emerging Dubai tech scene, check out our awesome conversation with Ray Dargham, Dubai's ultimate tech insider.